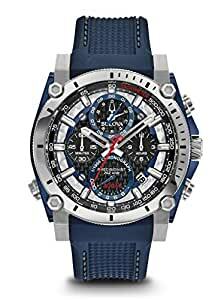 Precisionist- Advanced Timekeeping at its Best. Bold, architectural design meets the graceful motion of a fluid sweep second hand and proprietary 262 kHz high-frequency movement. The new Precisionist Champlain timepieces feature leather-lined ballistic nylon and silicone straps, as well as elegant bracelet styles .